Australia, with its vast resource wealth and political stability, is uniquely positioned to benefit from peak oil by exporting energy and raw materials at higher prices to an increasingly energy-starved world. At the same time, its geographic remoteness and depleting oil resources makes it uniquely susceptible to some of the worst consequences of peak oil. Australia is, therefore, a bit of an investment paradox if one is looking to reduce their exposure to peak oil - there are a multitude of investment opportunities, but likewise a multitude of traps. Australia reached peak oil production in the year 2000, followed by a 33% decline in production since. So far over 80% of the proven oil reserves have been produced and oil production is expected to enter a rapid decline soon, with the Australian Government's "Australian Energy Resource Assessment" projecting an 85% decline in oil production over the next decade. Australia is only the world's 34th largest oil exporter and, with rising oil consumption, is on track to become a net importer of oil within the next decade. That's the bad news. 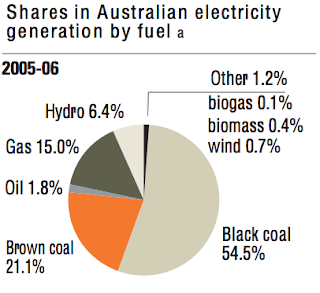 The good news is that Australia is energy self-sufficient due to its vast reserves of coal and natural gas. 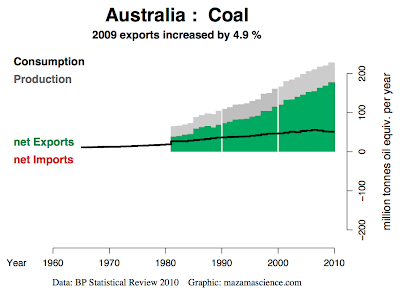 Australia is the world's largest coal exporter and the world's 12th largest natural gas exporter. So despite the county's oil peak and rapid decline in oil production, Australia remains a net exporter of total energy. Australia's massive coal reserves could allow the country to benefit enormously from peak oil through coal liquefaction technology. Indeed, a number of Australian companies, such as Hybrid Energy, Monash Energy, Linc Energy and Syngas, are currently working to create fungible crude oil substitutes from coal. Australia's Gorgon Gas Project off the country's western coast is one of the largest natural gas export terminals in the world. Expected to reach full production this year, the facility will pull natural gas from the North West Shelf and ship it as LNG to Japan, China and India. Another project, the Gladstone LNG project in Queensland, will convert coalbed methane into LNG for export by 2014. With Japan's recent earthquake/tsunami causing a nuclear meltdown at the Fukushima power plant, the role of natural gas in generating electricity will become more and more important as a worldwide public backlash against nuclear power forces existing older reactors into retirement and hampers the construction of future nuclear power plants. Countries like Japan, with few energy resources of their own, will look to countries like Australia to provide them with the energy they need to maintain their modern society. Developing countries like India and China, with their insatiable appetites for energy will also be major customers for these LNG exports. In addition to its energy exports, Australia is one of the world's most important minerals exporters. It is the world's largest producer of bauxite (used in aluminum production), 2nd largest producer of zinc, 3rd largest producer of gold, 3rd largest producer of iron ore, 3rd largest producer of uranium, 4th largest producer of silver, 5th largest producer of copper, and a world leader in the production of a number of other minerals. Higher oil prices coincide with higher commodities prices in general, and many leaders in the mining industry, such as BHP Billiton and Vale, are predicting minerals prices to remain high. Peak oil could very well lead to "peak minerals", making these resources extremely valuable to Australia in the long run. These exports, however, are highly dependent on world economic growth. 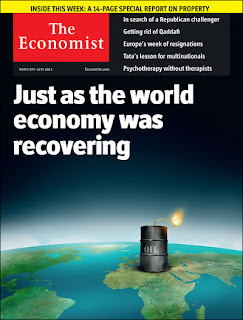 If oil prices spike too quickly, the economies of the world could be pushed into a recession, thereby reducing the demand for industrial metals and hurting Australia's mining industry. Since the mining industry is highly cyclical, investment in this sector should be timed properly and hedged through diversification of investment into other sectors. Of particular concern, given that Australia hold's the world's largest uranium reserves. is whether the Japanese nuclear meltdown will hamper uranium exports. Most analysts agree that even with a public backlash forcing retirements of nuclear power plants in developed countries, the increased demand for nuclear power in developing countries, like China, will outweigh this headwind. Australia has the lowest "physiological density" of any country on earth, with only 43 people per square kilometer of arable land. As peak oil makes energy-intensive agriculture more and more expensive, Australia will benefit enormously from exporting food to the world. Perhaps more importantly, Australia has the most certified organic farmland of any country on earth, with 12 million hectares. This also puts Australia in the enviousness position of having the lowest "organic physiological density" on the planet with only 1.9 people per hectare of organic farmland. Because organic agriculture doesn't require the used of petroleum-derived pesticides and fertilizers, the food energy output per unit of energy input is about double that of our world's current petroleum-intensive agriculture systems. From a food standpoint, Australia is completely "peak oil proof" and will likely play an extremely important global role as the world's struggles to feed nearly 7 billion people with less and less oil available for pesticides and fertilizers. Global warming will shift much of the productive farmland from the north to the south of Australia over the next half-century. In the short term, the country as a whole will experience more temperate weather, with longer growing seasons for many crops. Water scarcity, however, may dampen much of the benefits gained from these advantageous changes. Droughts and floods already plague Australian farmers. Australia had its wettest spring on record last year, with Queensland and Victoria experiencing major floods. At the same time, however, the southwest experienced severe drought with its driest and hottest year on record. These types of events could potentially get much worse as a result of global warming. Adapting to these changing climate conditions will require tremendous infrastructure costs for the protection from floods and the production and distribution of water. Australia currently gets much of its drinking water for western cities through multi-billion dollar desalination plants. Expanding the use of desalination, especially if it becomes required for crop production, will be extremely energy intensive and increasingly costly in the future. 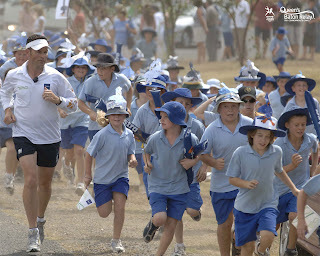 One factor pushing Australia in the right direction is the environmental awareness of its citizens. When it comes to environmental issues, Australians are the third most knowledgeable group of people (behind Swedes and Japanese) and they are the most likely group to purchase energy-saving appliances for their home for environmental reasons. This environmental awareness likely stems from the 1970's when Australia's unique susceptibility to ozone depletion catapulted environmental issues to the forefront of minds. Countries in the lower latitudes of the southern hemisphere were the first to be threatened by the growing hole in the ozone layer, and countries like Australia, New Zealand, and South Africa, with their citizenry of fair-skinned European descendants, were particularly threatened by the cancer-causing UVB radiation leaking through the ozone hole. Abroad, the Australian government became a leader in the fight against ozone-depleting CFCs, ultimately leading to the ratification of the Montreal Protocol in 1987. At home, the Australian government pushed hard to educate its citizens on the cancer danger of ozone depletion. 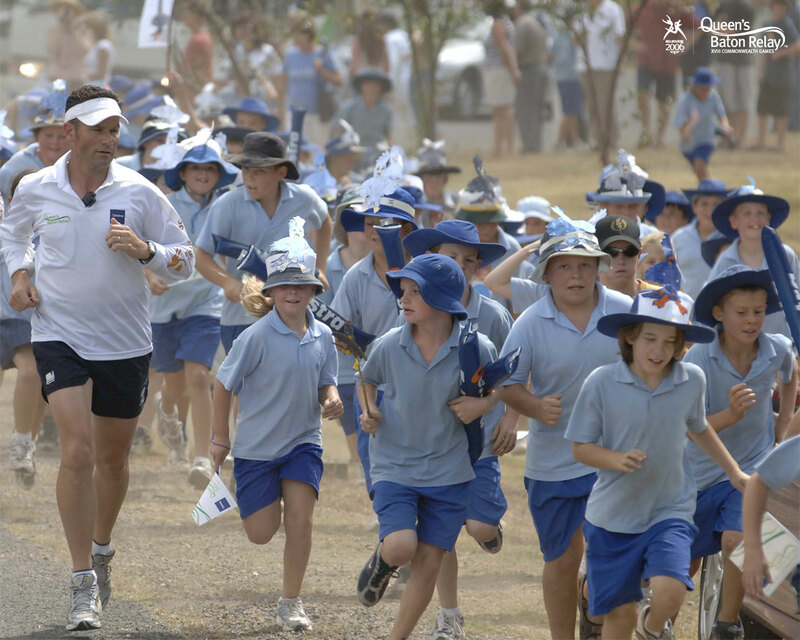 It's famous "Slip Slop Slap" campaign greatly reduced skin cancer rates by encouraging children to "slip on a shirt, slop on sunscreen, and slap on a hat", and today, almost all schools employ a "no hat, no play" policy for children. This massive environmental awareness campaign focused on ozone depletion likely had spill-over effects, with Australians today being more aware of all environmental issues facing them. With the ozone hole problem, Australians saw an environmental catastrophe looming over them and were able to band together to enact international political change to solve the problem. With global climate change, the country faces a similar challenge today, so it is no wonder that they are keenly aware of the need to push change both at home and abroad in order to solve the problem. From a peak oil standpoint, this environmental awareness is pushing Australia towards more sustainable sources of energy and reducing the energy intensity of Australia's economy overall. 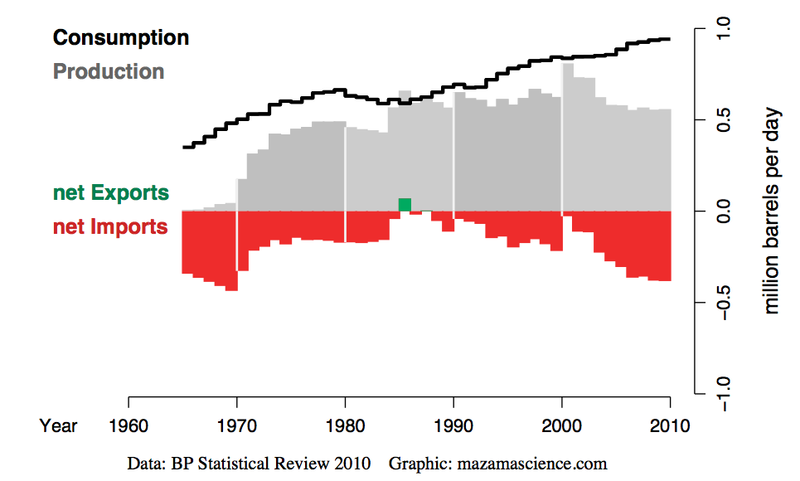 Awareness of peak oil itself is high in Australia. The country did, after all, create the first "peak oil movie" with the 1979 dystopian action film "Mad Max". On a political level the Australian government is one of the few to have released a report officially acknowledging peak oil and analyzing possible mitigation strategies. Even in my own blog stats, I receive a disproportionate amount of page-views from Australia on a population-weighted basis than I do from other developed countries, leading me to believe that Australians, on average, have a higher awareness of peak oil than people from other nations. Culturally, there is also an emblematic tradition of rugged self-reliance in Australia, similar to America's western culture of independence and self-determination. This cultural tradition will help Australia greatly as the world enters a post-peak phase, when sacrifices and difficult decisions need to be made. This public awareness of global climate change and peak oil is slowly pushing Australian politicians to enact energy legislation that promotes more sustainable forms of energy. Australia gets the vast majority of its electricity from coal-fired power plants, making it one of the world's worst greenhouse gas emitters on a per-capita basis. Coal power is slowly being replaced with a number of renewable energy sources through state subsidies. Similar to the US, Australia has no cap-and-trade carbon scheme but unlike the US, the Australian federal government has enacted a mandatory renewable energy target of 20% renewable electricity by 2020. Individual states have imposed feed-in tariffs and state renewable energy targets, ranging from 15% by 2014 in South Australia to 25% by 2020 in Victoria. Adoption of renewable energy in Australia has increased by 41% over the last 30 years but absolute adoption remains extremely low, with 6.4% of the country's electricity coming from hydroelectric dams, and only 0.7% coming from wind power. Over the next decade, wind and gas adoption will increase significantly to meet these state targets, but coal will still remain the number one source of energy in Australia. The sunny climate across vast parts of Australia makes the country a perfect candidate for solar power, and currently about 7% of households have solar hot water heaters on their roofs. These systems typically have about a 5 year payback period for homeowners and are expected to become more widely used in the coming years. Solar photovoltaic adoption, through both industrial scale projects as well as distributed home generation, will almost certainly increase in the future, especially with the government's favorable subsidies. Australia is the world's most sparsely populated developed country, with vast land distances separating cities from each other. Despite a relatively extensive rail network, 72% of freight is moved by road, often by the iconic "road train". These forms of transport, despite being far more efficient than the single trailer trucks used in places like Europe and the US, are still far less energy efficient when compared rail. New rail lines, however, are being constructed, such as the Adelaide–Darwin line that was opened in 2004. Australians are the third least likely group of people to use public transportation (after Americans and Canadians) and along with the French and the Americans, Australians are the third mostly likely to drive their car alone. Australia currently does not have any high speed passenger rail lines and despite many feasibility studies, there are no plans for construction of any lines in the near future. Like the US, Australia has a strong car culture, large sprawling suburbs and vast distances between cities in the west. This all combines to make the country extremely dependent on gasoline for daily life. Peak oil and correspondingly high gasoline prices will require tremendous societal change, as people move to more walkable neighborhoods, drive fewer miles and drive more fuel-efficient vehicles. The vast physical distances separating Australia from other developed world economies (besides New Zealand) creates an "economic remoteness" that could potentially be greatly exacerbated by the onset of peak oil. Because sea shipments require a lot of oil, as the price goes up, Australia could become less economically competitive against other nations for the trade of certain goods. Australia's biggest trading partner is China, followed by Japan and the United States. Shipping from Melbourne, the busiest shipping port in Australia, to Shanghai, the busiest shipping port in China takes 15 days to complete the 5,131 nautical mile journey. For comparison, Norway's largest trading partner is the United Kingdom. Shipping from Stavanger to Aberdeen requires a distance of only 274 nautical miles. One way to look at this difference in "economic remoteness" is to compare the difference in shipping costs for the two countries at different oil prices. Research from CIBC shows that to ship a 40 foot container the 5,724 nautical miles from Los Angeles to Shanghai, China, costs about $8,000 ($1.40 per mile) with oil at about $130 per barrel. A regression analysis of the CIBC data shows that the predictive equation they use for calculating shipping cost per mile in relation to oil prices (with a statistically-significant p-value of 0.026 and a r-square of 0.95) is: Shipping Cost Per Nautical Mile = 0.185 + 0.011 * Oil Price. With oil at $100 per barrel, the cost for a Norwegian company to ship a 40-foot shipping container of lingonberry jam from Norway to the UK would be about $350. The cost for an Austrailian company to ship a 40-foot shipping container of vegemite from Austrailia to China would be about $6,600. With oil at $200 per barrel, shipping the lingonberry jam would only cost $650 while shipping the vegemite would cost $12,200. The average shipping container holds about $300,000 worth of goods (with a $100,000 standard deviation). With profit margins of less than 2% in the food industry, the $6,000 profit for the Australian company shipping vegemite to China quickly disappears as oil prices rise, while the Norwegian company will continue shipping lingonberry jam to the UK at a profit. The susceptibility of long-distance sea shipping trade to volatile oil prices is perhaps more important than the absolute costs of shipping. According to a United Nations report on international trade, the price elasticity of inter-modal freight rates to oil prices ranges between 0.19 and 0.36. This range is relativity inelastic, and it means that as oil prices fluctuate wildly as we enter the bumpy plateau of peak oil, companies in Australia that are heavily dependent on international sea shipments may experience significant economic pain. In recent decades, the "graduation" of some Southeast Asian countries, like China, Singapore and Taiwan from "developing" to "developed" has created more trade partners in the region. As the southeast Asian "tiger" economies continue to grow into a larger portion of the world's GDP, Australia's average economic distance will fall, while economic remoteness on relative terms will increase for European and western-hemisphere countries. 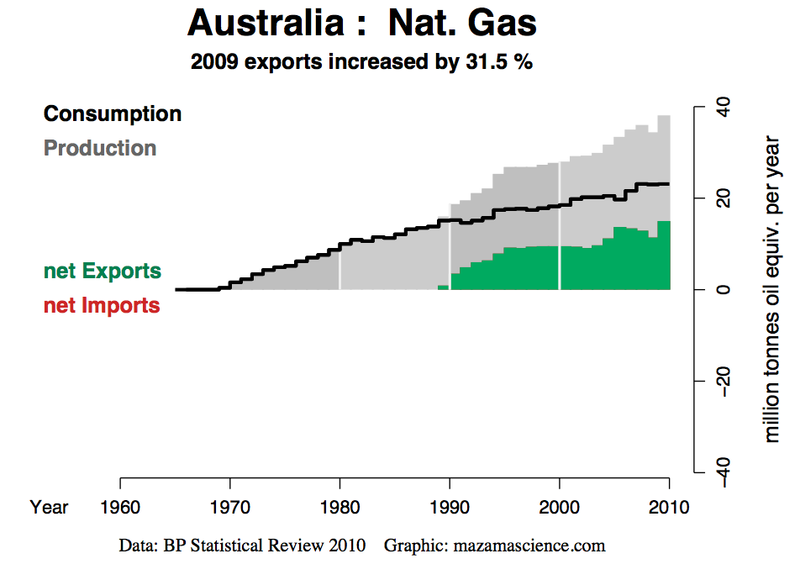 This should help Australia stay economically competitive for many exports. Australia's vast mineral wealth could also help it overcome its economic remoteness. The United States overcame the physical remoteness from its European trading partners in the 1700's by exploiting its vast natural resource wealth and exporting raw materials to these advanced economies. Despite the cost of shipping, mineral exports will likely continue to remain competitive even in a post-peak enviornment. The economic isolation from other trading partners may also make Australia one of the first countries to experience "localisation" of the kind Jeff Rubin describes in his book "Why Your World Is About to Get a Whole Lot Smaller". The most remote cities in the central and western part of the country may be forced to become more economically self reliant, producing more goods locally. As a whole, the country will become more reliant on the export of services and less reliant on the export of manufactured goods, much as many economists are encouraging America to do now. As peak oil pushes up the cost of aviation fuel, air travel will likely become more and more expensive in the future. Due to the vast distances required to travel to Australia, the country's tourism sector may be particularly hard-hit by peak oil. Tourism currently represents 11% of exports and 4.2% of Australia's GDP, but it employs 5.7% of of the country's workforce. The government realizes the importance of the tourism sector to its GDP and spends a lot of money trying to entice more international travelers to come visit. Just last year, the government's tourism agency spent $3 million to get American talk show host Oprah Winfrey to promote American tourism to Australia. International visitors, however, only contribute 23% of the country's tourism revenue, with the remaining 77% coming from Australian residents. Just as "localization" will make communities more economically self-reliant, peak oil will likely make Australian's tourism industry more dependent on this large domestic revenue source, possibly at the expense of the country's major airlines like Quantas and Virgin Blue. High oil prices will also increase the cost of air-fright transportation for some internationally-sourced "just in time" perishable goods like flowers and sushi, which currently make up 80% of air freight shipments. Such internationally-sourced time-dependent consumer products, both coming from and going to Australia, will become prohibitively expensive for all but the wealthiest people in the world, and will be gradually replaced with more locally sourced items. Jet fuel sourced from biofuels, derived from feedstocks like camelina oil or algae, will enter the market as oil prices get prohibitively high for the aviation market to stomach. Australia, with its vast agricultural resources that I described above, will be extremely well positioned to profit from this transition. Movement towards aviation biofuels will also mitigate some of these pains, especially as improved crop technology, like better genetically-modified biofuel feedstocks increase the energy returned from energy invested, making them more cost-competitive against increasingly expensive oil. Australia's economy has a rather high energy intensity of 0.18 kilograms of oil equivalent per $5USD of GDP created in constant purchasing power parity terms. This energy intensity is slightly better than the world average but lags behind the developed world's (OECD) energy intensity of 0.15 koe/$05p. This is largely due to the energy intensive nature of some of Australia's largest economic sectors like mining and energy, as well as the energy-intensive nature of importing and exporting goods over the vast distances require to reach Australia. 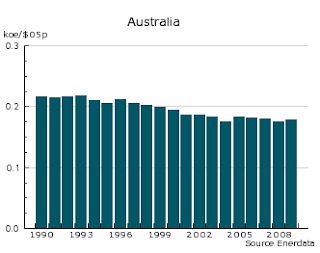 The positive news is that Australia's economy has been becoming more and more energy efficient over the last 20 years and may still be able to make vast efficiency improvements, given the correct business enviornment. Relative to many of the world's energy exporters, Australia has an extremely stable government, stable currency and stable civil society. The Economist Intelligence Unit ranks Australia in the top category for democracy. Transparency International ranks the country in the top category of least corrupt regimes on earth. With a Gini index of 30.5, Australia ranks better than the European Union in terms of income equality, which has been show to be statistically correlated to social cohesion. The government has extremely low debt relative to the country's GDP with the national debt representing only 22.4% of GDP. The banking sector is very tightly regulated, far more so than in places like the United States, and as a result, Australia was able to largely avoid the late 2000's financial crisis. The Australian dollar is the 5th most traded currency in the world and is often included in discussions about a future currency basket that could replace the US Dollar as the world's reserve currency. Major retailer in Australasia - operates Coles, Target, Kmart, etc. Operates Woolworths supermarket chain, Safeway, etc. Mining services company - provides explosives, etc. This list of companies is just a starting point, investors need to do their due diligence. Ideally, investing in these companies would be timed to coincide with favorable market conditions. The bumpy plateau of peak oil may mean that oil prices will fluctuate wildly and that oil price spikes will create significant demand destruction followed by market corrections. Oil is currently trading at over $120 per barrel, the highest it's been since the last oil price spike sent us into the worst recession since the great depression. It may be prudent to hold off on equity investments at this point, as high oil prices may put a wrench in the current economic recovery. Special thanks to Dan Miethke in Australia for corresponding with me on this post.